XVII, 408 p., 17,3 x 24,4 cm. 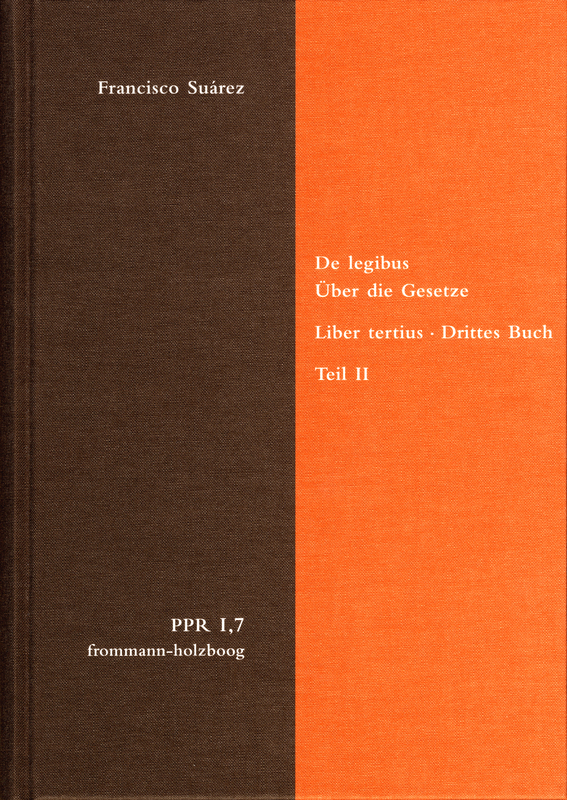 In the third book of ›De legibus ac Deo legislatore‹ (1612), the summa of his theology of law, Francisco Suárez explains and develops his concept of human laws. This theory of the leges humanae forms the centre of suárezian jurisprudence, for systematic as well as historical reasons: On the one hand, the doctrine of free will resulting from his own practical metaphysics forced the Conimbricense theologian to adopt a modern conception of normativity; on the other hand, both the political theories since Niccolò Machiavelli and Jean Bodin and the political practices of the 16th and early 17th century showed that the emerging modern political fabrics strive towards a secular self-conception which Suárez opposes with his theonomous legal and political theory.